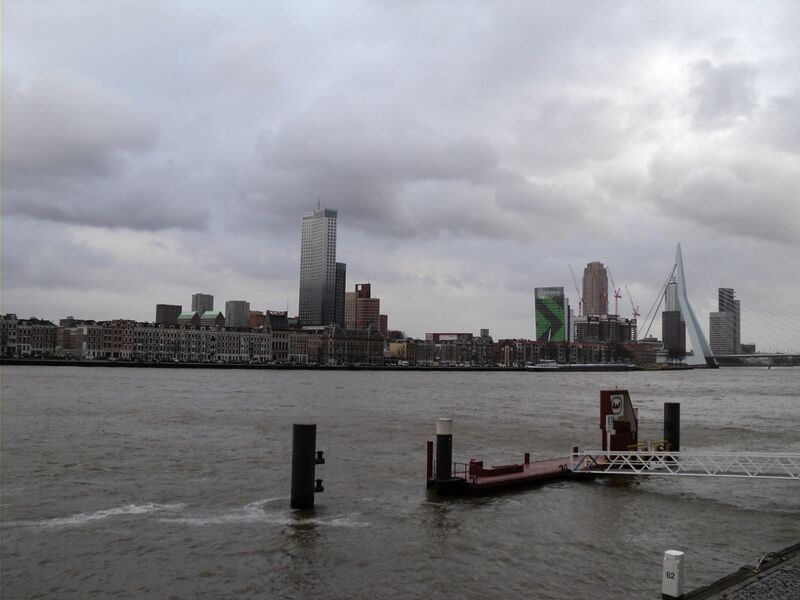 The Gateway to the World as it is sometime called, Rotterdam has seen a lot of action and emerged with renewed energy. 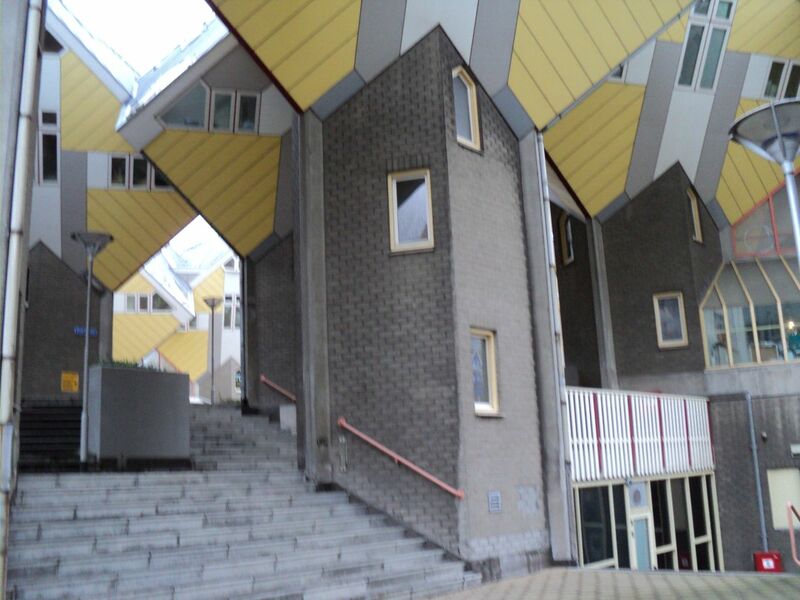 The Dutch are probably the coolest people on the world. It’s no wonder that I keep coming back to their cities. Impeccable transport? Check! Fun times? Check! One thing that you can’t escape from much is the weather. Out of the blue, bam! 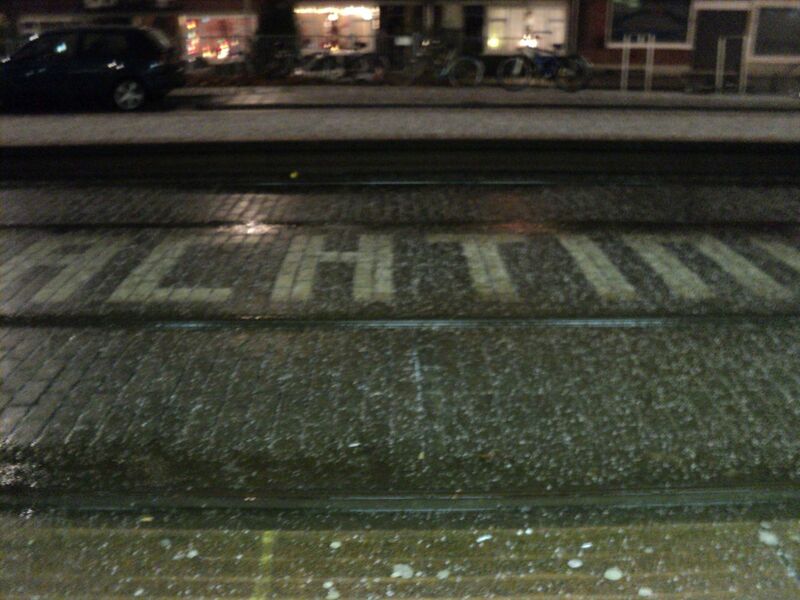 Hailstorm! Good thing the tram was exactly on schedule and we did not have to endure it for long. 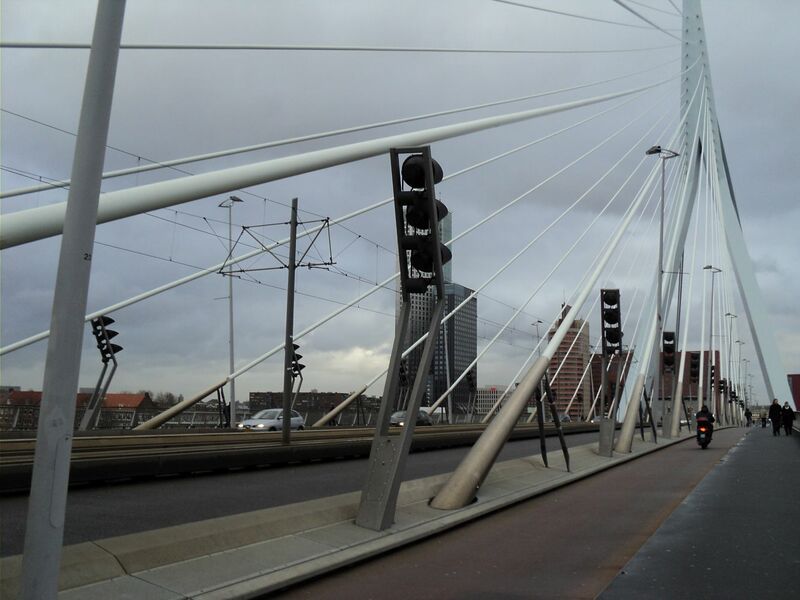 Erasmus Bridge is surprisingly walkable and can offer great views of the port and new high rise buildings. 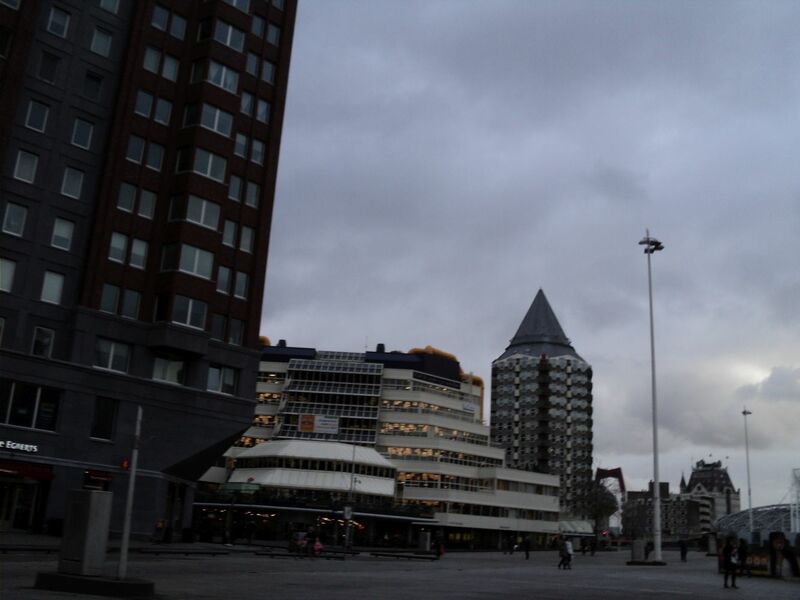 The sky scrapers are a rare sight in the Netherlands but because this city was leveled during WW2 (the Rotterdam Blitz) much of the traditional architecture was replaced by modern pieces. 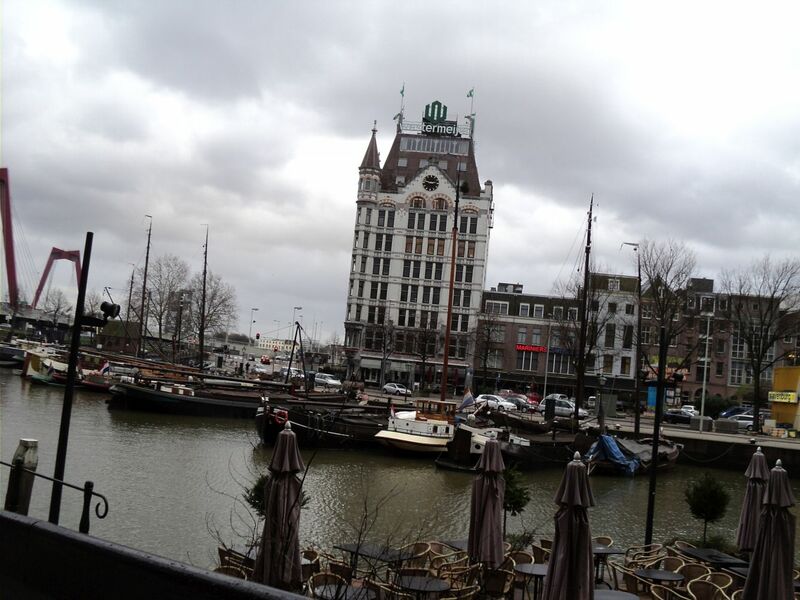 The small port side cafes are just lovely in the evening if you are looking for a nice view to go along with your beer. 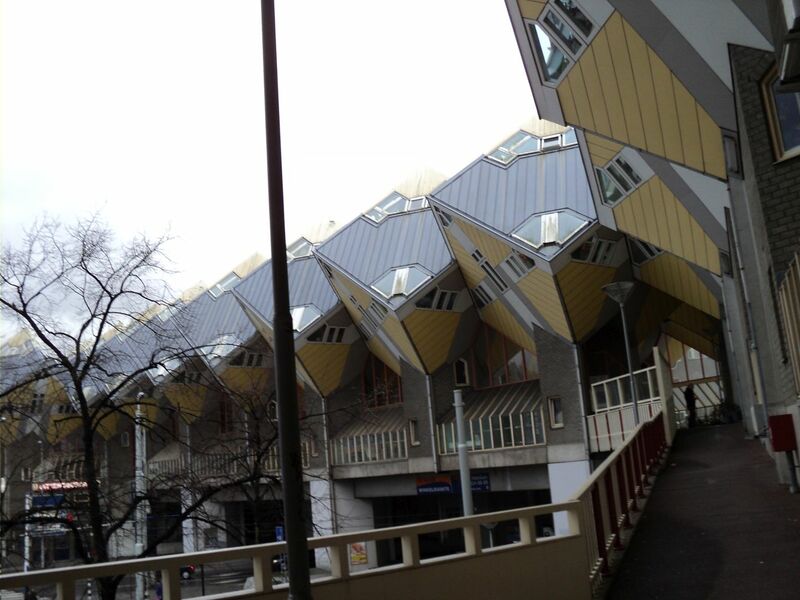 A landmark of Rotterdam, the Cube houses by Piet Blom are not to be missed. 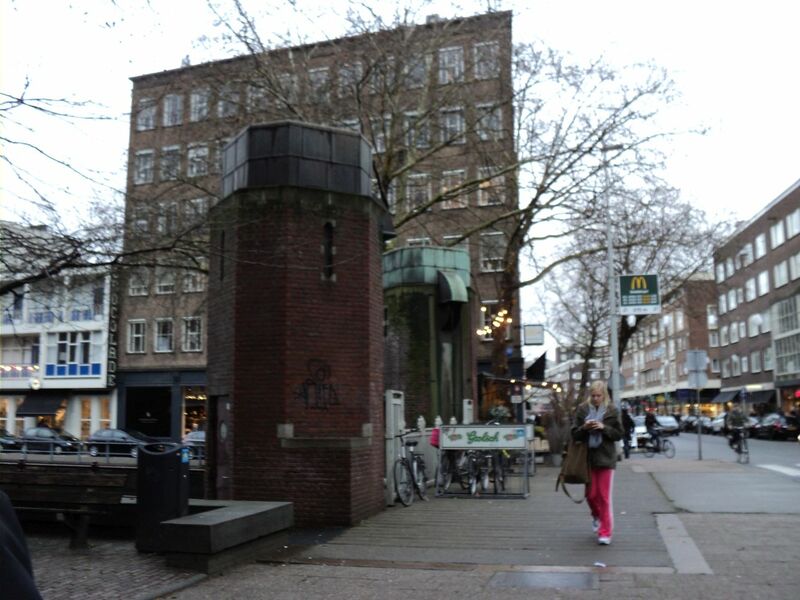 There is even a house that you can visit to get a feel of how living in one of these cubes is. 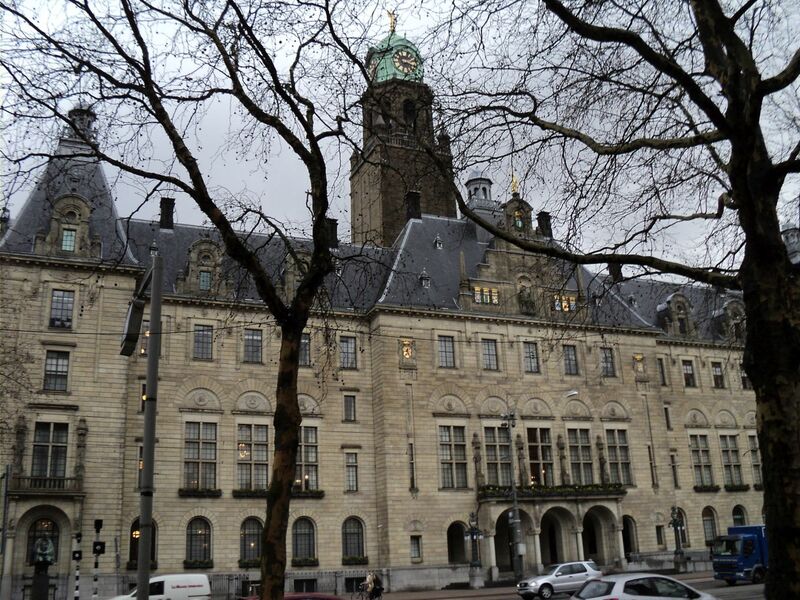 The Rotterdam Public Library is also an architectural landmark of reconstructed Rotterdam. The inside is quite surprising: a hollow space housing a central wooden multi story traditional library, completely un-attached to the exterior walls. 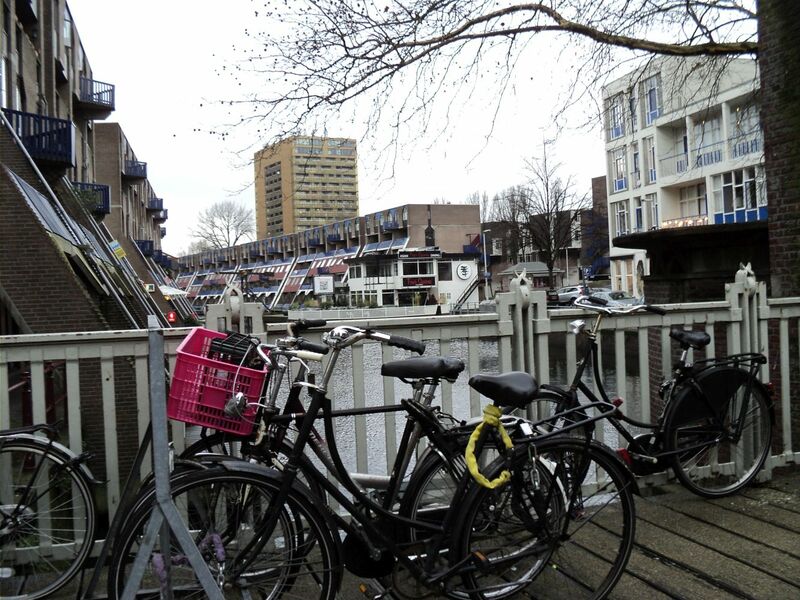 Biking is not as easy as you might think when there are hundreds of skilled Dutch riders coming from all directions. You better know the etiquette or you will feel the wrath! 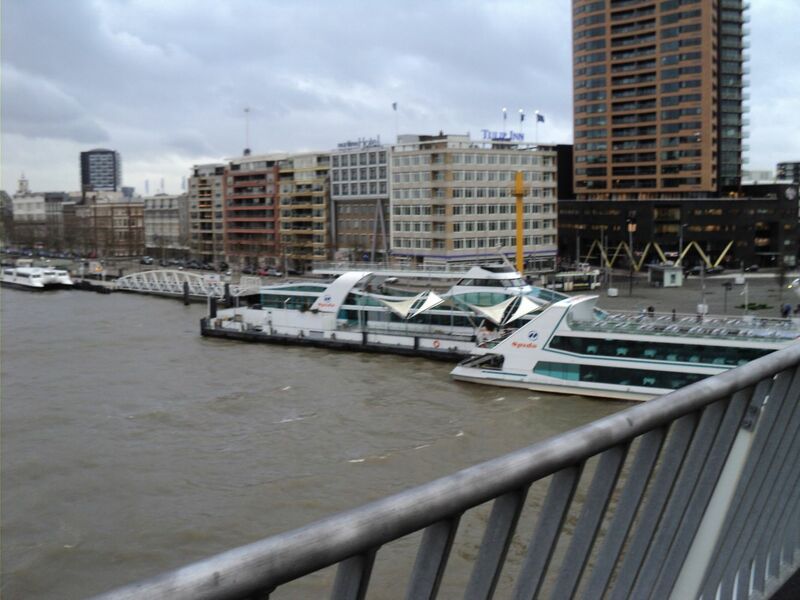 The city hosts several channels which give it a softer feel and even on a cloudy rainy day you can stop and feed the ducks. 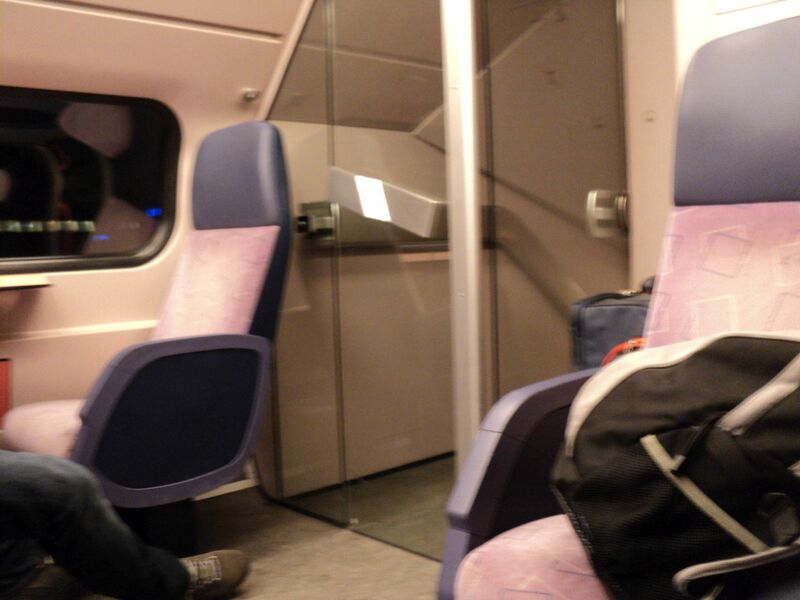 It’s a short train ride from Rotterdam to Amsterdam and generally to every corner of the Netherlands. 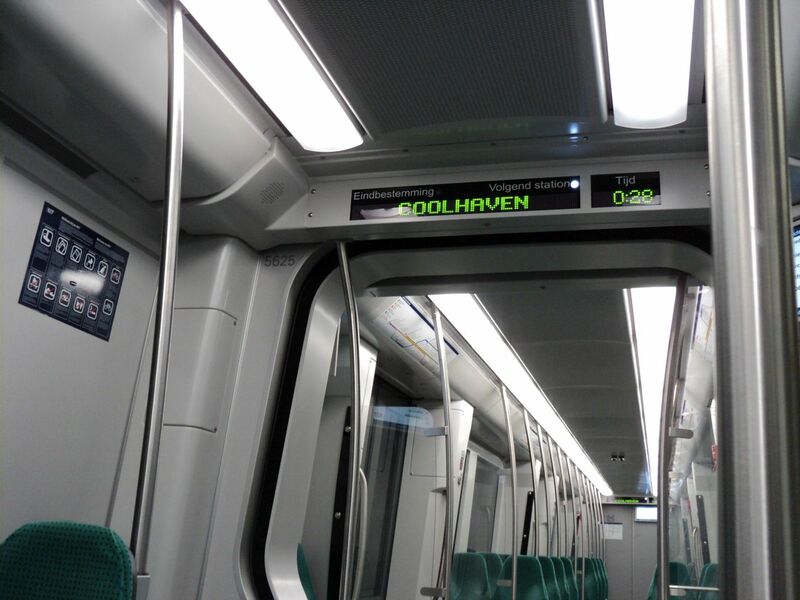 Easy to use, clean and reliable, the train is built into the daily lives of many residents.